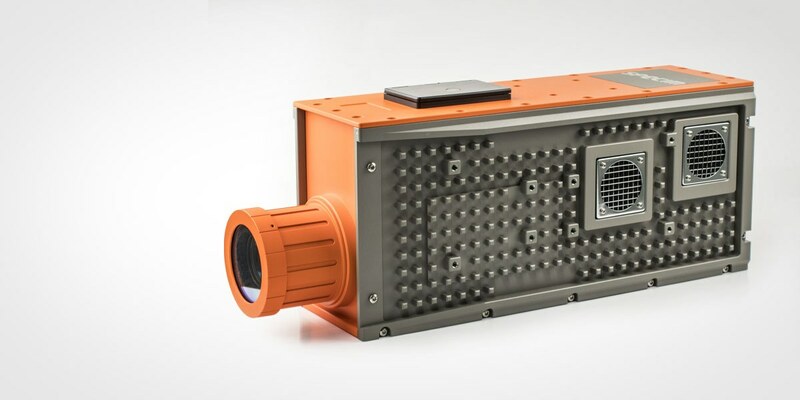 AisaIBIS is a robust and very high spectral resolution hyperspectral imager for ground and airborne measurement of sun-induced fluorescence from plants. Sun-induced fluorescence from plants, or ‘The Secret Light of Plants’ as often referred to, is rooted in the photosynthesis process during which plans essentially absorb light of one colour and emit another. Measuring this emission can be used as an indicator of photosynthetic activity of the plant, providing information about it’s vitality. Specim created AisaIBIS together with Juelich Research Centre from Germany, as the Hyplant sensor, for the European Space Agency’s (ESA) Earth Explorer programme called FLEX. The project aims at providing global maps of vegetation fluorescence, which can be converted into an indicator of photosynthetic activity. AisaIBIS works as a precursor for a potential satellite instrument, and is used to produce airborne data for the development of fluorescence measurements. AisaIBIS is designed to measure the sun induced fluorescence with the so-called Fraunhofer Line Depth Method. In this method the weak fluorescence signal is detected and quantified at the bottom of the two oxygen absorbtion lines in the specific spectral region of 670 – 780 nm. 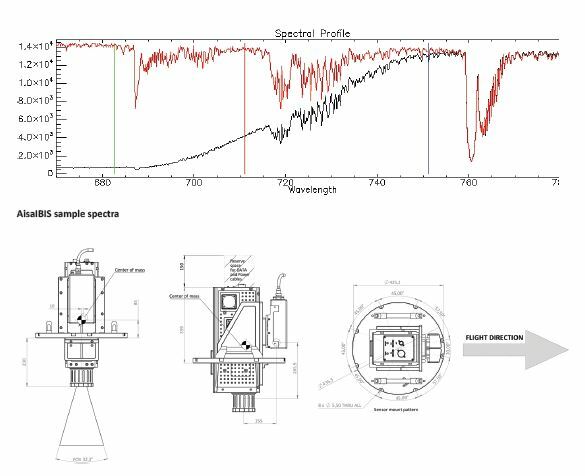 By applying Specim’s high light throughput (F/1.7) imaging spectrometer, and novel sCMOS camera technology, low noise, high dynamic range and signal-to-noise ratio are achieved with excellent spectral sampling (0.11 nm) and superb image quality even at the high image rate required in flight conditions.